We all must have experienced petty rivalries with our peers either in school or college. Generally, when two persons are rivals, their rivalry is obvious to the people around them, but this is not the case with the celebrities. All these celebrities have to take care of their image and, therefore, they cannot afford to show their true feelings when they are in front of the cameras. They have to conceal their real feelings and have to pretend that everything is all right between them. Sometimes they even have to pretend to be very good friends, when in reality they cannot tolerate each other’s presence. Following images are of such celebrity rivals who are best friends in front of the camera. Although both of them are in the same industry, Katy Perry and Taylor Swift are not on friendly terms at all. May be being in the same industry, has made them rivals and both of them have negative feelings towards each other. The reason behind this rivalry is not known, whether it is because Katy dates Taylor’s ex-boyfriend or it is because dancers from Taylor’s group switched sides to join Katy? Taylor has also written a song called “Bad Blood” which is allegedly inspired by Katy Perry. We are just surprised with the rivalry between the two talented artists. This is another example of artist rivalry in the music industry. However, the reason behind their rivalry seems to be their relations with two beautiful women. 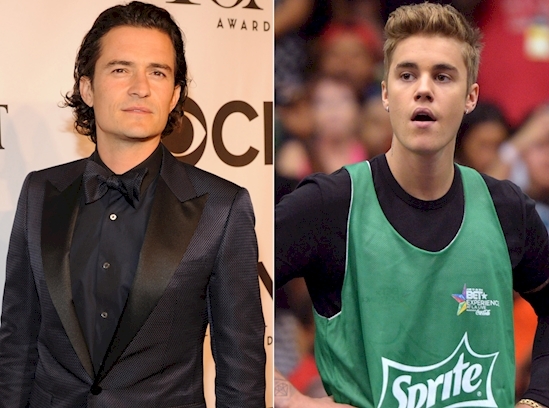 It is said that Orlando Bloom was angry because of the alleged relationship between his ex-wife Miranda Kerr and Justin Bieber. It is also said that, once he got a hint of such a relationship between those two, he started getting cosy with Selena, who incidentally is Justin’s ex-girlfriend. Their rivalry has reached a serious level as it is said that Bloom even tried to punch Justin at a restaurant. It seems that music industry is full of the rivalries between the artists. Reasons behind these rivalries may be known or unknown, but it is a fact that artists are temperamental in nature. There was no bad blood or any bad feelings between Mariah Carey and Nicki Minaj, before both of them were judges on a famous talent hunt show. From then and onwards, things went downhill. Both the artists kept on with their stories and the fed between them is still going on. Nicki stated that she does not understand why Mariah feels insecure in Nicki’s presence. Actually, we were quite surprised by this feud or rivalry between these two celebrities. What can be the reason behind the rivalry between a reality TV star and an heiress and a socialite? You will be surprised to know the connection between these two. Before this feud both were best friends and almost inseparable. It is said that Kim was an assistant To Paris when she was shooting for the show “The Simple Life”. On the sets of the show, Paris did not treat Kim well and this did not go well with Kim. 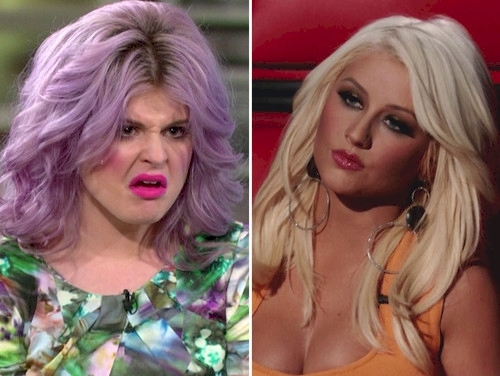 The feud between Kelly Osbourne and Christina Aguilera again proves that the music industry witnesses more celebrity rivalry than any other industry. Although this feud started about some negative remarks by Kelly about Christina’s music, it escalated fast. Both of them started getting personal in their insults when Kelly said that Christina is looking like she accumulated some weight. According to Kelly Christina always called her fat and she is just returning the favour. 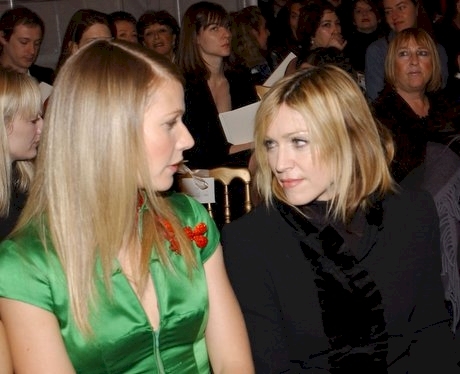 According to Gwyneth, Madonna was her best friend rather she was like a sister to her. However, both of them are not even talking to each other. Although no one knows the real reason behind this fall out, Gwyneth further ignited it when she said that she has better abs than that of Madonna. It is also said that their common trainer also had a fall out with Madonna but owns health clubs in partnership with Gwyneth. Maybe their friendship fizzled out as they no more had common grounds to strengthen their friendship. Both these actors made their robot characters in Star Wars, very famous with the viewers. Although on screen the pair was very good, off the screen their relationship was not at all friendly. It was said that Anthony found Kenny very rude and he used to make many unpleasant comments about Anthony. On the other hand, Kenny said that Anthony used to behave like a snob as he did not mix with the other members of the cast. The feud between these two came in the limelight again as the new Star Wars movie was set to release. These two actors shared the screen as lead actors in a romantic movie, but it seems that they don’t share even friendly relations off the screen. The feud started when Tom criticized his co-star for using drugs. He also said that her acting career has come to a stop. Brooke was taking some anti-depressants after the birth of her daughter. However, Brooke Shields has cleared in an interview that the feud between them is over and there are no bad feelings between them. 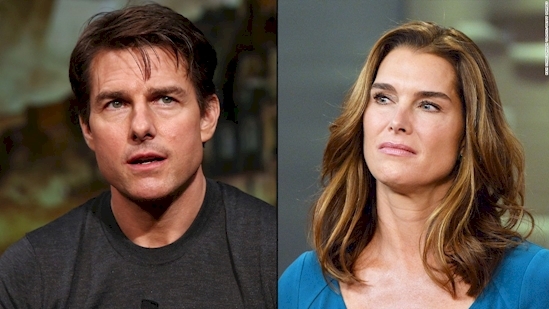 She said that Tom Cruise came to her home and apologized. Let’s hope that she has forgiven him. Charlies Angels as a film was very successful. Bill played the character of Charlie and Lucy was one of the angels. Although on screen Charlie is like a best friend of angels, off the screen Bill and Lucy barely tolerated each other. According to the sources, Bill said that Lucy could not act at all. On the other hand, Lucy even tried to punch him for his remark. However as per Bill, there was no feud between them at all. He said that they just had a minor argument on the sets and he has friendly relations with Lucy. 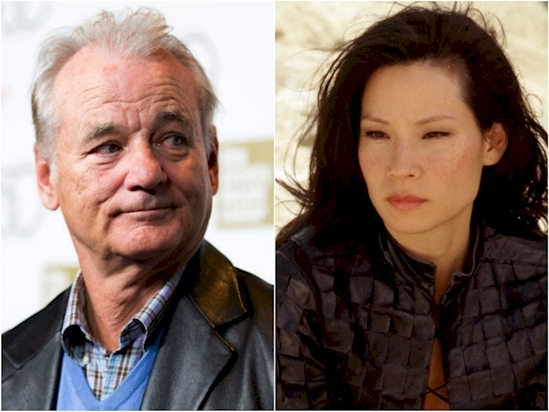 However, it is a fact that Bill turned down the offer to act in the sequel of the movie. As the co-stars of the movie “Some like It Hot”, Tony and Marilyn put the screen on fire with their chemistry. However, it is said that both these actors used to hate each other when they were not shooting for the film. At one point intime, Tony also mentioned that Kissing Marilyn was like kissing Hitler. Marilyn replied to his comment in a very subtle manner, without even mentioning him. She said that when she has to do some intimate scenes with a person with whom she does not cordial relations, she used to fantasize while shooting for those scenes.